The Spray Application Technology Workgroup web site is a work in progress for workgroup members. 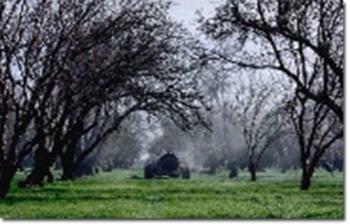 Our goal is the improved application efficiency of pesticides and nutrients in all settings in California. Progress towards this goal will reduce application costs and the pollution potential from off-target movement of the spray material. Documents & Publications provides categorized spray application publications, PowerPoint presentations, and photos. Spray Table Planning Calendar is a calendar to see availablility of the Spray Table and to reserve it for your own use. Access to these pages changed as on April 2011: to view these pages, your email address must be included in the Secure Access Group for these pages. Please contact Franz Niederholzer to add your email address to the Group. Workgroup Members Disscussion Forum for internal communication. We will need to add WG member to the Collaborative Tool names before this is functional. Please contact Franz Niederholzer, Spray Application Technology Workgroup Chair, for further information about this site.